Super fun way to get our night started for a 40th birthday! We got out. We will be back again to try the Sherlock Room soon. Thanks Danielle and Dave. Step into the lair of Irene Adler herself, the mystery women who stole Sherlock's heart! The downfall is, she also managed to steal a very important letter from the great detective. He needs your help to get it back. Hurry! 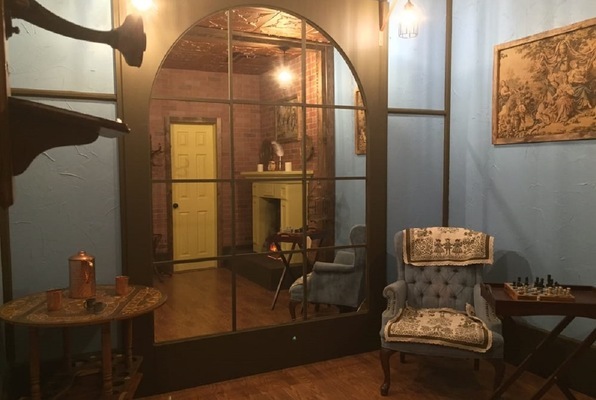 Reviews of escape game "Smite "10" Sherlock"
One of the best escape rooms I have ever done. Their other rooms are just as amazing as this one! Took a group of 5 (11yo boys) there. Dave was an outstanding host. The rooms were perfectly set up. It was challenging and intensely fun. Everyone had a blast. This was the 3rd escape room in Vegas i’ve been to, and by far — the Best. thank you! 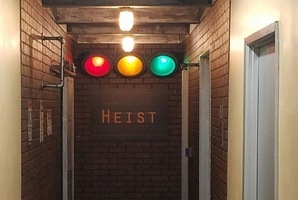 This was my first escape room and it was awesome. The Smite Sherlock room had a great story and the puzzles were on point. Great moments! I look forward to my next visit. Done both of their rooms, and this one was my favourite! You really have to think like Sherlock to crack all of the puzzles! Went here out of the blue when we saw the sign on the street. Played the Sherlock room with a group of six, and it was well worth the money. Everyone had something to do, and we also had to work together as a team. 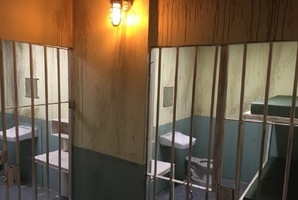 Already planning to book the Prison room and go back! A great time had in Rush to Escape! With just the two of us playing, and it being our first time, it was definitely challenging and we had to ask for help a few times when we were stuck. But still it was so much fun!! !